One Laptop per Child and the Secretariat for the Pacific Community are working together to give the children of the Pacific access to the digital world: knowledge, information, skills, training, technology, and life-long learning. 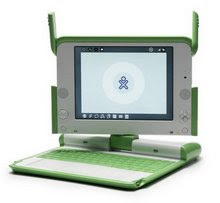 OLPC and SPC are committed to community consultation and participation. We are putting the needs of children, families and communities at the centre of our partnership efforts.